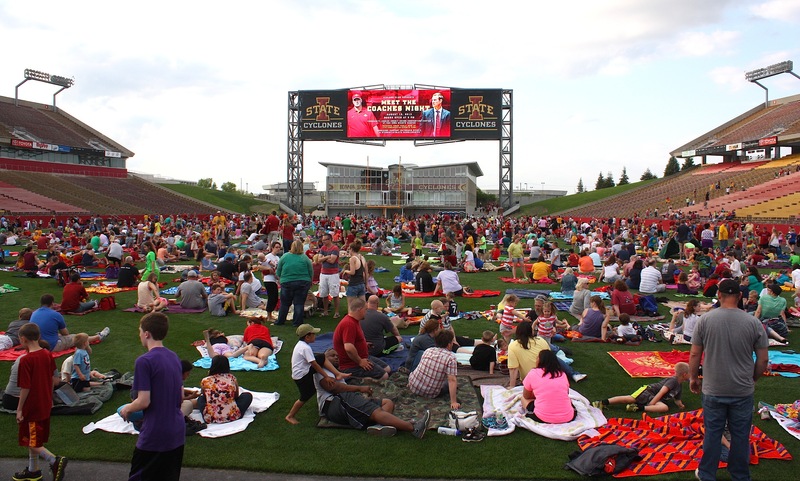 Here’s an awesome idea for a summer Saturday night: movie night at Jack Trice Stadium. It’s a simple concept, really. 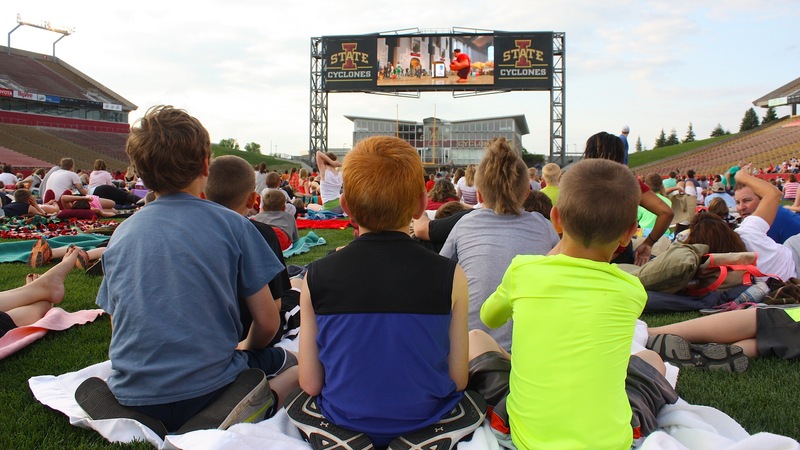 Throw the doors open to the Iowa State football stadium in Ames and show a FREE movie on the huge, state-of-the-art, high-definition scoreboard. Sell popcorn and nachos. Done. Dave and I were two of the only adults there without kids. (Did I mention the movie was Disney’s “Wreck-It Ralph”?) How many kids were there? I guess the question should be, “How many kids live in Ames?” That’s about how many kids were there. But, hey, it was fun, even with little kids running around during the whole movie. It was a beautiful, warm summer night. And afterwards we went out for ice cream. Kudos to Iowa State Athletics and the Jr. Cyclone Club for starting what I hope will become a summer tradition.